← Fragglepuss Anime Review 71: Akame Ga Kill! Summary: Amamizukan is an apartment complex inhabited by “The Sisterhood”, a group of otaku women dedicated to their “nerd discipline”, whether it is martial arts, sewing, or jellyfish. The women have taken a vow to allow no boys into the complex, as boys would taint the aura of the house they have worked so hard on. Kurashita Tsukimi, a girl who has adored jellyfish since she was a child, lives happily in the complex with her housemates until a beautiful women helps her out of a jellyfish disaster and starts showing up at the apartment. 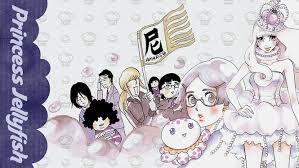 Princess Jellyfish is a series that I was less than excited to watch, but after a few episodes, I found myself watching one episode after the other until the series was finished. It is a sign of a good anime when the series just flies by like that. The characters and their quirkiness for all things otaku was a fun aspect of the show. It seemed that every character, not just the housemates, had their own endearing otaku obsession. Practically every character was enjoyable in one way or another, even the minor characters that were hardly seen. The humor was spot-on for the most part, especially for the housemates and their socially awkward behavior, like when a social situation would be too much for them and they would turn to stone. The opening and closing songs were another positive of the series. If you have not seen the anime, do yourself a favor and watch the opening, It is guaranteed to make you laugh and stare in disbelief. It was unfortunate that a substantial conflict and deep storyline were lacking, with several questions left unanswered or simply ignored. This would have been tolerable, except for the lack of a second season. Had there been a second season, questions could have been answered. The series just left the viewer hanging and wanting more. There was also a character or two that were quite creepy, even by anime standards. You might enjoy this if: You want a quick and easy watch that is light-hearted and will have you singing along to the intro. You might not like it if: This is your first anime. There are some quirks that the anime novice will find quite odd. I repeat, do not watch this as your first anime! Note to the Viewer: Do not be deterred by the name. This anime has swayed many people to like it after watching only one or two episodes. 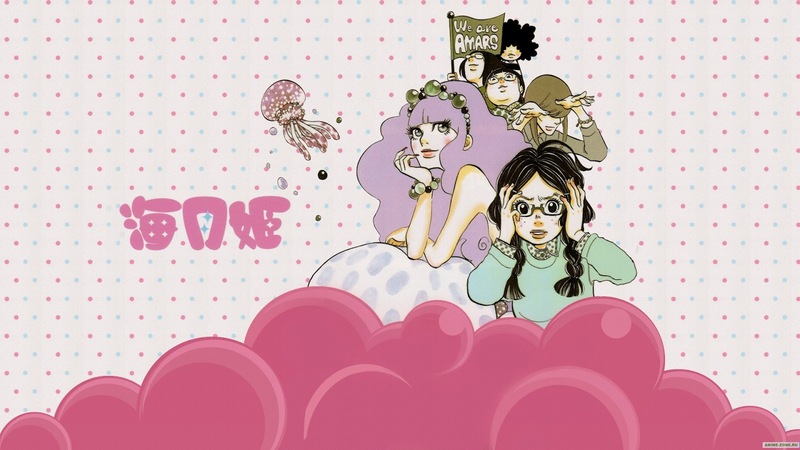 I know it is called Princess Jellyfish, but trust me, you can get over it. This entry was posted in Anime and tagged 2010, anime, comedy, fall, fashion, fragglepuss, jellyfish, kuragehime, life, otaku, princess, review, slice. Bookmark the permalink.